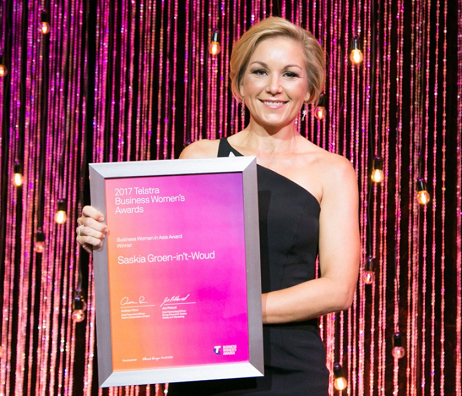 Congratulations to Saskia Groen-in’t-Woud from Singapore, winner of the 2017 Telstra Business Woman in Asia Award, announced at the 2017 Telstra Business Women’s Awards dinner in Melbourne last night. “Finding the balance of using smarts, courage and heart to address business problems and build high performing teams has been incredibly satisfying,” said Ms Groen-in’t-Woud. 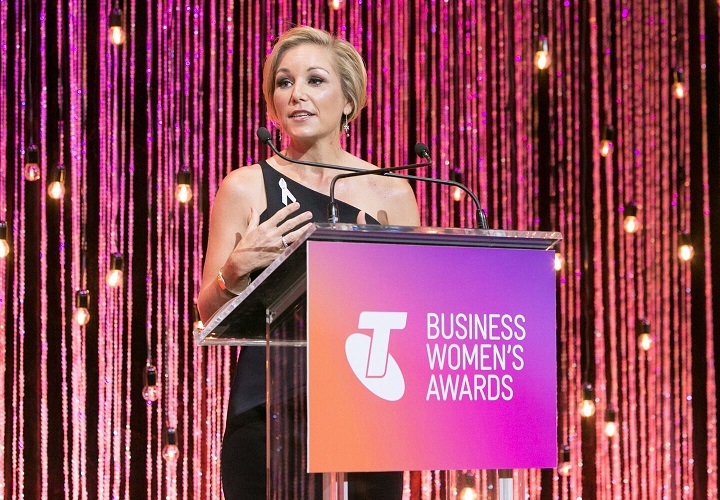 The Telstra Business Women’s Awards give the outstanding business women of Asia the chance to reflect on their achievements, set bold new goals for the future and build exciting relationships with an extensive Alumni community across Asia and Australia. Last year, seven amazing women made the shortlist – one each from Cambodia, Hong Kong, India, Indonesia, Malaysia, the Philippines and Thailand. This year, the seven finalists came from Singapore, Malaysia, Hong Kong and India. Now in its second year, the 2017 Telstra Business Woman in Asia Award has expanded its criteria to include female entrepreneurs and women from not-for-profit and social enterprises. Owners or employees of organisations that deliver positive social/environmental change as their core mission (includes not for profit and social ventures).